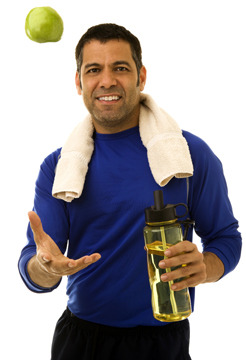 ← The Truth on Fitness: Do I Have to Keep My Knee Behind My Toe? Okay, so you slept late, had to work overtime, your car broke down—whatever the excuse, er, reason—you didn’t make it to the gym and get in a good workout. That does not mean you have to drown your disappointment in a bowl of Ben & Jerry’s. 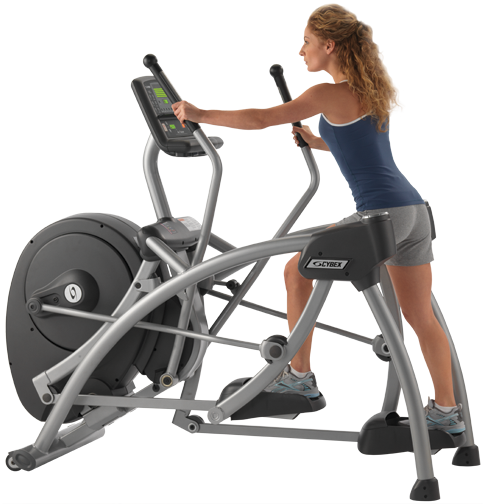 You can still salvage your workout and your self-esteem, making it all the easier to get back to the Arc Trainer next time. Do some old-fashioned calisthenics. Jumping jacks, push-ups, tricep dips using a chair, squats, leg lifts, or running up and down the stairs several times—all of these can contribute to an effective exercise routine (remember to stretch!). Volunteer to help clean at an animal shelter. I’ve done this many times before, so trust me when I tell you it is a VERY active cardio and weight workout! Scooping and changing thirty-eight litter boxes and cleaning twelve kennel cages gets the heart and muscles pumping. Dance to your favorite tunes, or put in an exercise or dance DVD and enjoy some unstructured play time. Pick up trash at a local park or in your neighborhood—there’s always an abundance of it littered about, and all that bending and walking will give your metabolism some steam. Pare down your portions for the day. No need to fast or drastically cut calories—just eat a little less at each meal. Easy ways to do this include adding one less tablespoon of salad dressing to your salad (saves 80 to 120 calories), forgoing dessert, using one less slice of bread or cheese on a sandwich, or trading a beef dish for a lean chicken or tofu entrée. Do a day of detox. Do some gentle yoga, eat light foods like steamed vegetables, broth-based soups, and sip cleansing herbal teas. Fennel, ginger, cardamom, turmeric, and licorice aid digestion and elimination of gas and bloating. And finally, the seventh salvager of a lost Arc Trainer workout—invest in one for your home! Just think, no need to worry about the weather, driving to the gym, or even worrying about what you are wearing. Roll out of bed, rub your eyes, and step up on your very own Arc Trainer and the calories will melt away your weariness.